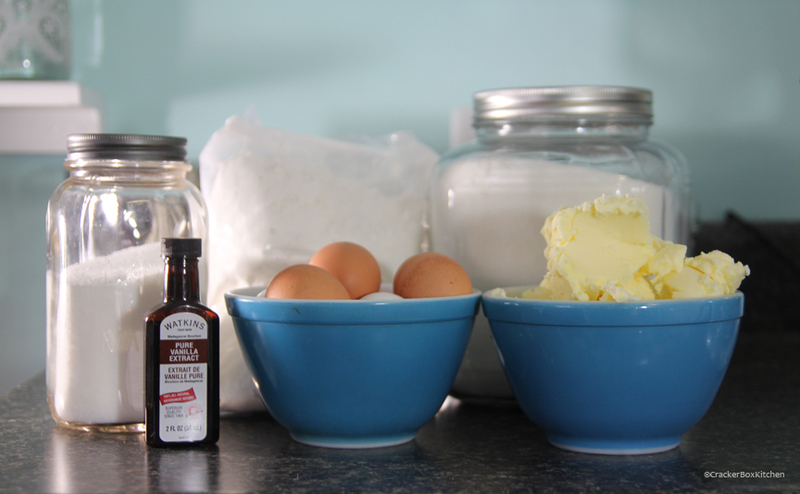 Coat 10″ Bundt (or “tube” pan), or 2 9×5″ loaf pans with butter, then dust with flour. Cream butter and sugar for 5 minutes at medium speed. Stop once to scrape bowl. Reduce speed to low and add eggs one at a time, until each egg is fully incorporated. Stop to scrape bowl if needed. Mixture will look lumpy or “curdled”. Add vanilla and salt and beat at medium speed for 30 seconds. 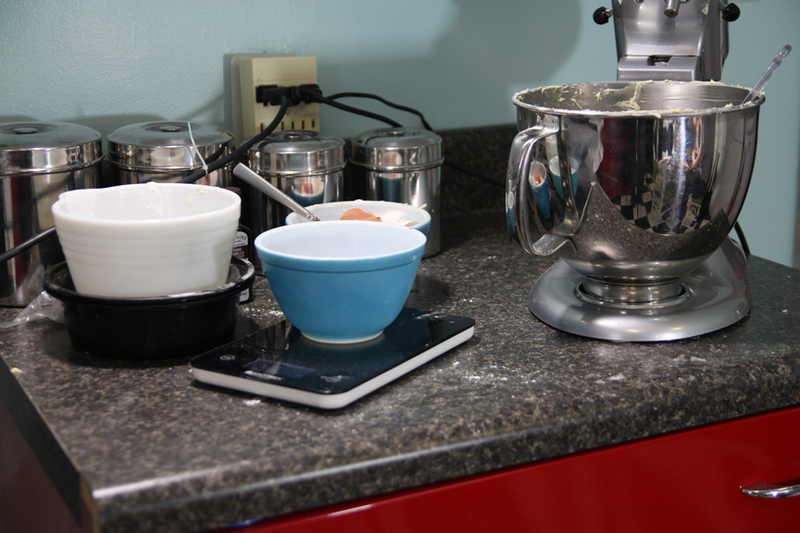 Reduce speed to lowest setting and add flour in 3 parts, until each part is fully incorporated. (Otherwise, you’ll have a face full of flour dust.) After the final third, scrape sides of bowl and beat mixture at medium speed for 30 seconds. Pour or scoop batter into prepared pan(s). Bake for 1 hour, or until internal temperature reaches 210°. Crust should be golden brown and springs back when pressed. Remove cake from oven and set pan (don’t remove the cake yet!) on cooling rack for 10 minutes. Then, remove cake from pan(s) and cool on rack. 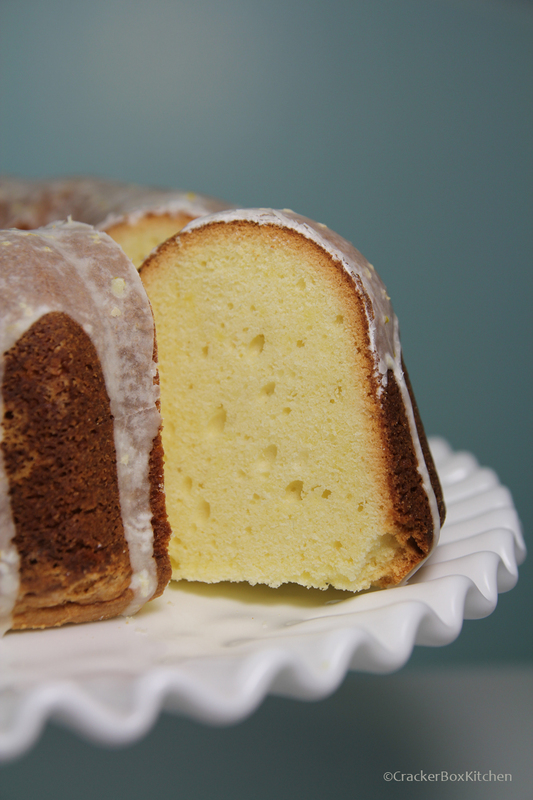 When cake is fully cooled, pour on lemon glaze. Place zest and juice in a small bowl; slowly whisk-in powdered sugar until it is fully incorporated. Poor over cake and allow to set for 30 minutes. Slice and serve! Sift. Then sift again. Then keep sifting, for a total of 5-6 times. Again, not as fine as cake flour (you’re not affecting the fineness of the grain after all), but usable “in a pinch”. Hey, everybody’s got a dirty kitchen.